Recently, Nails Inc polishes have been making appearances in Poundland's across the country and we all know how much of a bargain that can be! You can get all kinds of polishes in there, Rimmel, Barry M, Loreal, Sally Hansen, Maybelline, Revlon, Bourjois, all of which can be up to £6 ish when bought from Superdrug or Boots. I'm sure we all remember when there were rumours of OPI's being stocked in Poundland but of course, it was a limited few Crackle polishes. So Nails Inc being in POUNDLAND, for a POUND is an awesome bargain, I'm pretty sure these old styles bottles were like £11. Well, my Poundland finally got some in recently, it took ages, and rather than get every single one they had, I was frugal and only got ones that I thought I would wear. So I bought 3, Old Bond Street, Sapphire and Clerkenwell. they did need a good shake as they were pretty separated but I saved Old Bond Street and Sapphire, Clerkenwell however, was unsaveable *sniff* it was too far gone and so ended up in the bin. 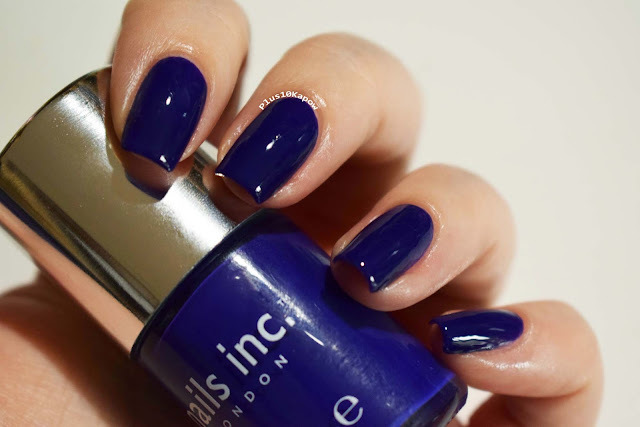 As you can see, Old Bond Street is a gorgeous purple leaning, navy blue. It applied nicely and dried pretty fast to a smooth and gorgeously shiny finish. Clean up was easy as was removal but be wary of the possibility to stain. I was wearing 2 coats of OPI Nail Envy for my base coat and there was a tiny bit of stainage after one day of wear. This is 2 coats with a coat of Seche Vite. 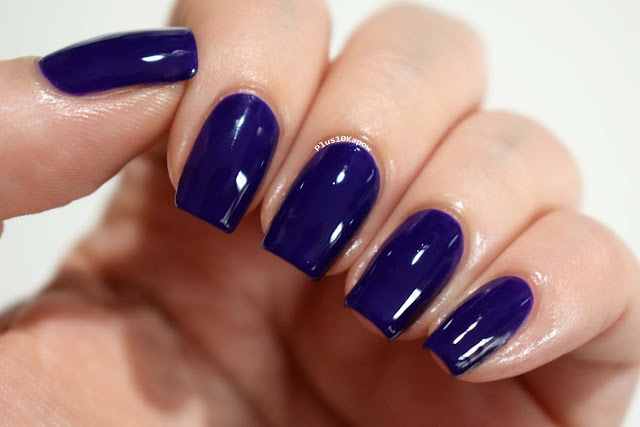 The second one is from the Nail Jewellery range called Sapphire. This one is packed full of multi-sized, light blue/aqua with the larger ones having a slight holographic quality to them. 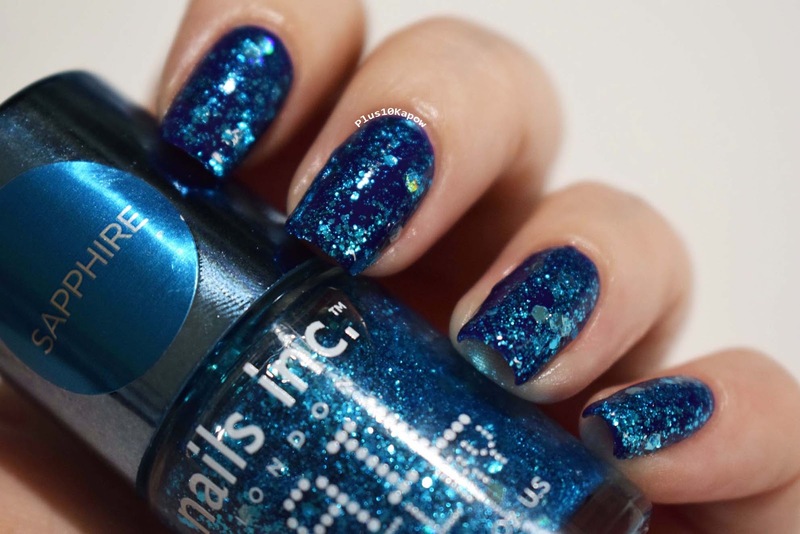 The application is very generous and the glitter is pretty tightly packed, I had hoped that it would apply a little more sparsely but to get that look I would recommend lightly sponging it to get that effect, I think it would be the best look for this polish so you can see how pretty it really is. Other than that, application was a breeze, clean up was pretty easy, although you may have to nudge some glitters to get a clean cuticle line and as always, removal was a little tough. This is one coat over Old Bond Street with one coat of Seche Vite, the glitters lay pretty flat so you don't need to over do it on most nails. 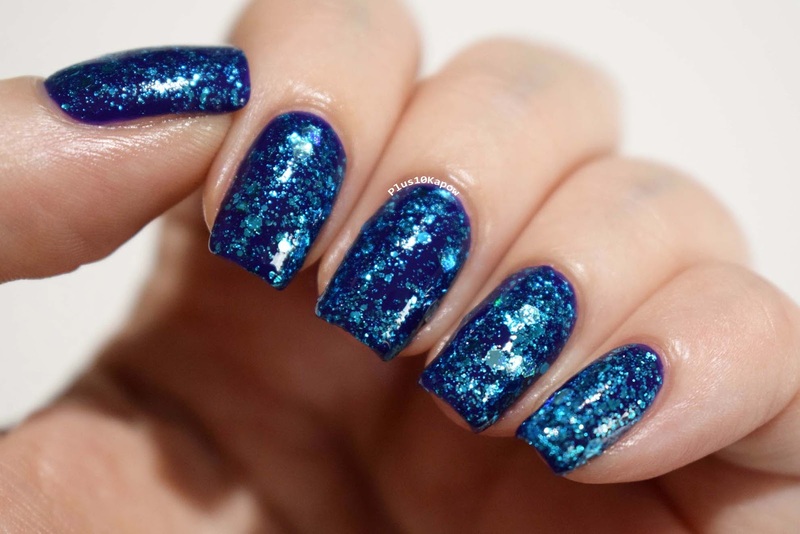 You could probably build Sapphire up for full coverage in as little as two coats, that's how tightly packed the glitters are. I'm still pretty gutted about Clerkenwell but hopefully my store gets more of them in soon. Pop out and check your Poundland to see which ones you can get and remember, with each Nails Inc you buy from Poundland, you are saving at least £10 and we do love a good bargain.